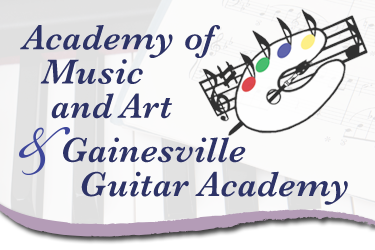 Established by musicians and music teachers, the Academy of Music and Art & Gainesville Guitar Academy has been on a mission to provide the best in music education for over thirty years. By accepting only exceptional teachers with experience and credentials supporting that philosophy, the studio has expanded to a full program of instrumental instruction, voice, and visual art. Our faculty is dedicated to teaching excellence in a warm, friendly environment, designed to inspire the joy of music and art. The Academy is proud of our teacher's commitment to be here for our student's long-term goals. Our facility houses twelve studios, a recital hall, and a visual art studio, all in a beautiful historical building in the thriving heart of Gainesville. Lessons are customized to the individual goals of students of all ages from children to adults in private music, small art classes, as well as special group sessions and master-classes. A special program for early music education, MusikGarten, gives even the youngest child an opportunity to develop skills in movement, instrumental music, and group activities. The Academy has been given approval by the school system so that its lessons count for required arts credits in home school and high school programs. Students can also participate in competitions and club festivals on the local, state and national levels. Specialized music theory, composition and song writing classes are offered for students who wish to move beyond individual studio theory. Our students have the opportunity to perform in ensembles and jam sessions set up by age group and level of technique, and can rehearse and train for performances at recitals or fun public venues. The diversity of our faculty means ensembles are available for many styles of music giving students the opportunity to work with peers of similar interests and ability. 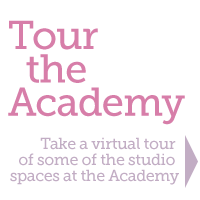 • Offering guitar lessons, keyboard lessons, drum lessons, voice lessons, and more!